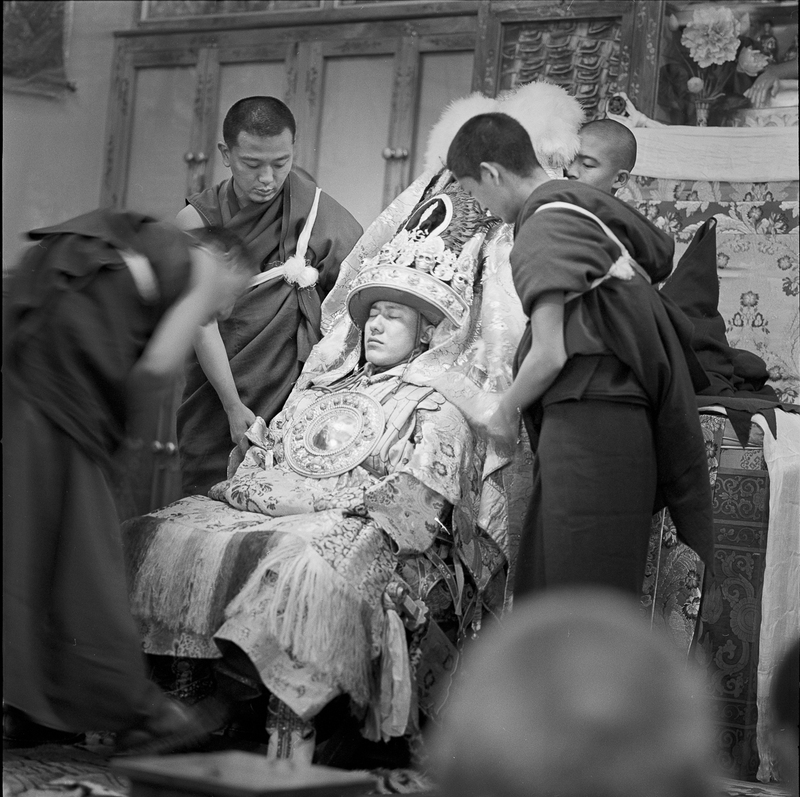 The Medium (known in Tibet as the Kuten) preparing to go into trance in order to ‘channel’ the protector spirit of the Tibetan people known as the Nechung Oracle. Twenty years ago, I was invited to watch a young monk named Thupten Ngodrup go into a trance and ‘channel’ the State Oracle of Tibet (The Nechung Oracle). It took place in a small monastery next to the Dalai Lama’s residence in the little Himalayan town of Dharamsala, India. As the monks began to chant and beat their drums, Thupten’s eyes rolled back, his face flushed and he began to speak in a high-pitched voice. 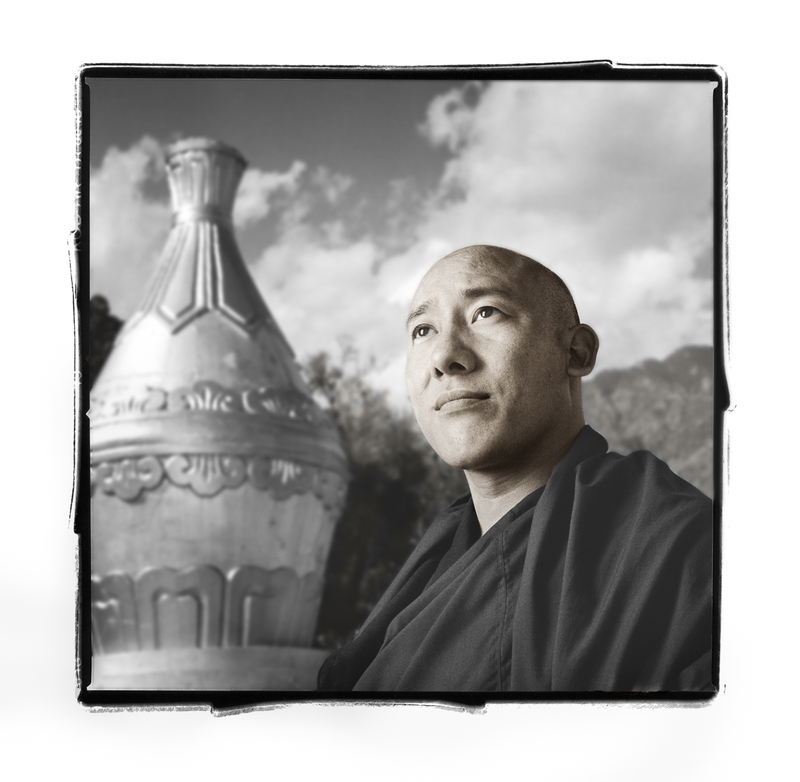 A few monks gathered around him and began writing down everything he said. After a few minutes, he collapsed and had to be carried from the room. At the time, I didn’t know what to think of what I had seen. Was this a dramatization? Thupten Ngodrup the current Kuten of the Nechung Oracle photographed in Dharamsala, India in 1994 near the Dalai Lama’s residence. Two days later, my friend Mick Brown, a journalist for The Daily Telegraph in London, invited me to sit in on an interview with Thupten. When Mick asked him how he became the medium (or kuten), he described having a mental-emotional crisis that included severe anxiety, hearing voices and electrical jolts through his body. He said he was terrified and even thought he was dying until an older monk took him aside, told him he had a gift, became his mentor and over time taught him how to enter and return from the trance state. Sukulen, a respected “predictor” and healer in the Samburu tribe of Northern Kenya, began having dizzy spells and hearing voices as a young girl. Her grandmother mentored her through her crisis and introduced her to her spirit guides. As I continued my work documenting human rights issues in indigenous and tribal communities, I started seeking out the individuals we call Shamans–people who go into non-ordinary states of consciousness to act as healers or seers for their community. I was fascinated to learn that many of them, like Thupten, were identified in their late teens or 20’s by having what we in our culture would call a nervous breakdown or psychotic break. Morgan Yazzie, a Navajo medicine man, started having hallucinations and feeling he was dying. An older medicine man, Sam Begay, was called to do ceremony for Morgan and continued to mentor him in the medicine ways. Just two years ago, I met Adam Gentry, a sensitive and bright 26-year-old employee of Whole Foods grocery store in Redmond, Washington. He, like many young men his age, had experienced a psychological crisis in his early twenties and was hospitalized and put on medication. Adam Gentry was extremely athletic as a child and popular in high school. He became a black belt in Karate at age six and was becoming a professional wakeboard champion when he had his first psychological crisis. 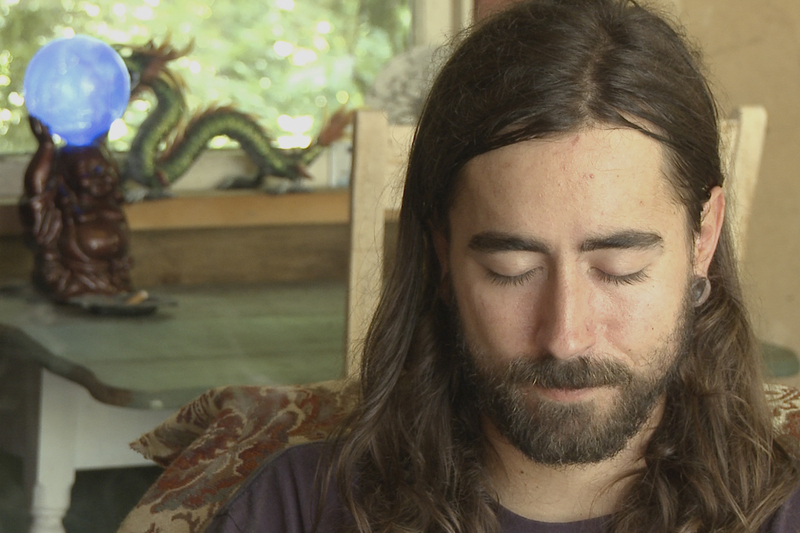 After four years of severe side effects, Adam quit his medication and decided to attend a ten-day meditation retreat. It helped him so much that he did two more retreats. He started working at Whole Foods and began to settle into a more normal existence. At that time, I was doing a film on meditation, and my producer sent Adam to me for an interview. When Adam told me his story, I couldn’t help but think of the Shaman’s ‘calling’ and how differently Adam’s crisis was defined and treated in our culture. 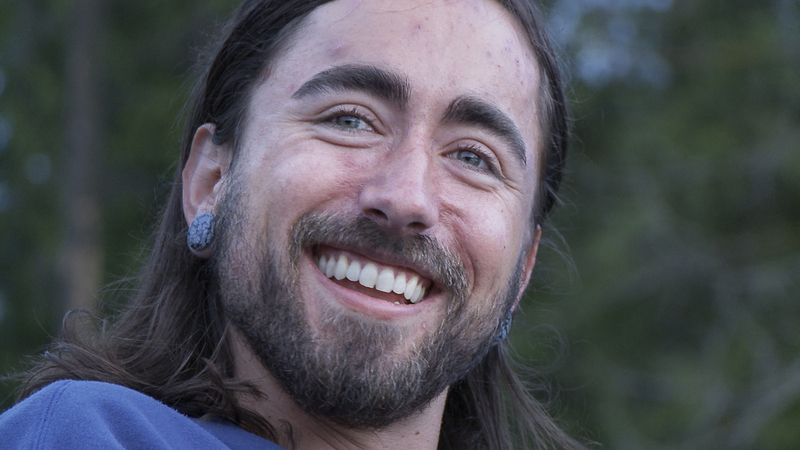 Adam attended several meditation retreats and found relief until it was discovered he had been diagnosed as bipolar. Because of liability issues Adam was turned away from further retreats. I began interviewing Adam every three to four weeks. On his third interview, Adam told us he had gone to do another meditation retreat. But when the retreat center learned of his previous mental diagnosis, they turned him away. Shortly afterwards, he found it difficult to do his work, and Adam quit his job. 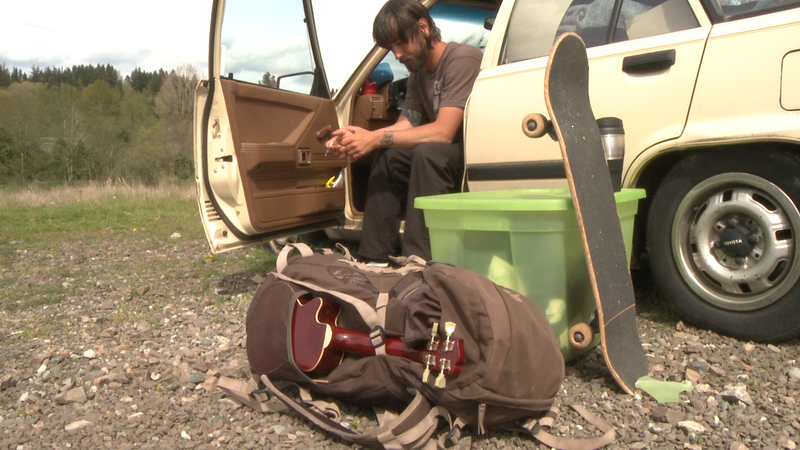 He soon became homeless and moved into his car. When winter set in, he sold his car and bought a ticket to Maui. While living on the beach, he was beaten by a gang, lost many of his teeth, had his jaw broken in three places and was almost killed. Adam’s home and shelter is now a car that no longer runs. Twenty-five percent of the homeless in the US suffer from a mental illness according to the National Institute of Mental Health. Adam is not alone. While documenting his story, I became increasingly aware of the severity of the mental health crisis in America. Today, 25% if the homeless and 56% of those in prison have been diagnosed with a mental illness. In the last 20 years, the number of individuals on mental disability insurance (SSDI) has almost quadrupled. Paradoxically, in this same period of time, the amount Americans spend on medications to treat their mental conditions has increased 80-fold. Clearly our mental health system is not functioning effectively. Will Hall, ‘a person with lived experience’, is just one of the leaders of the survivor movement who are advocating for a change in the way mental illness is defined and treated. While doing research for the film, I also discovered a grassroots movement of survivors of severe mental illness supported by a passionate group of renowned mental health professionals, activists and scholars who are advocating for alternatives to the biomedical based standards by which most mental illness is currently defined and treated. These movements include successful treatment approaches like Open Dialogue in Northern Finland and new organizations and treatments like Peer-to-Peer counseling, the National Empowerment Center, Stand Up for Mental Health, the Hearing Voices Network and Mad Pride. These programs emphasize hope for recovery, acceptance, mentorship and nurturing relationships. It struck me that this was the same model of mentor-based relationships I had witnessed and photographed in Africa, Asia and South America among indigenous cultures. It seems that few people are aware that alternative treatments exist due to a lack of mainstream media coverage. I am now co-directing a film called “CRAZYWISE” that I hope will demonstrate how traditional cultures look at extreme mental emotional states and demonstrate the possibility that an individual experiencing a psychological break can recover without lifelong medication and stigmatization. For more than 25 years, Phil has been documenting indigenous and tribal cultures, striving to create an understanding of the challenges they face. 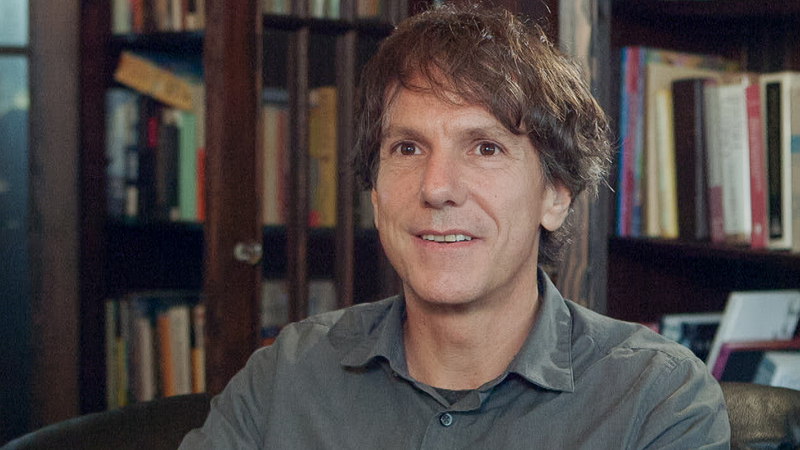 His work is exhibited in museums and galleries worldwide, and his award-winning books have been published in four languages. Thanks for this. I am so excited about this film! I’ve seen some of the outtake material on YouTube and I love the connection it makes between madness and spiritual vision, and what that suggests in terms of support for people undergoing spiritual emergencies. In my opinion, the dominant Western paradigm of “care” is the breaking of our holy ones by psychiatry, which functions as capitalism’s thought police. And I think we all pay the price for this, because humanity needs its holy ones. At this point I tend to look at the problem as a system out of balance. Our bio/medical approach has become dominate and somewhat muscled out the psycho/social and spiritual aspects of mental health. We need to attend to them all in balance. As for the biological–exercise, sleep and nutrition go a long way toward general and mental health. I also believe meds used conservatively have a place in a mental emotional crisis. Hi Phil! We have engaged on Twitter and I support your vision. I believe that we are the unsung shamans of Western Civilization. Some of us have been driven mad by it, and we hold the keys to healing our society and bringing our way of life into balance. That’s not grandiosity, it’s truth. The real anti stigma work would lie in us being seen for the creative gifts we bring, if our experiences were validated and honored. Rather than feared and pathologized. Bravo for your vision and boldness. Good luck with your film. And I’m very grateful psychiatry’s medicalization and ungodly disrespect of those who believe they are experiencing a spiritual journey, is beginning to be pointed out. According to my medical records, I was force medicated for questioning a dream about being “moved by the Holy Spirit.” I felt God was inspiring a story. My “Christian” psychologist’s medical records claim she believes the Holy Spirit is a “voice” proving “psychosis.” Denial of the Holy Spirit is the one and only “unforgivable sin” in the Holy Bible, however. My Jewish psychiatrist, after two egregious drug cocktails – both of which have six major drug interaction warnings stating they cause anticholinergic intoxication poisoning, finally chose to wean me off his drugs because he concluded this perfect stranger he originally claimed was “irrelevant to reality” and “w/o work, content, and talent;” actually had “work of smart female,” was “insightful,” and had “voices of God talk through her.” I’m still not sure what he meant by that, but at least he stopped majorly tranquilizing me. And another doctor I had the misfortune to be subjected to, who drugged me for belief in God, has now been arrested by the FBI for greed inspired crimes against many, many patients. So I do now have the makings of a story, although it’s not one which bodes well for the psycho / pharmaceutical industries, my father’s prior industry – the banking industry, or my ex-religion – my dream was on the night of 9.11.2001, and my daughter had been unjustly denied a baptism at the exact moment the second plane hit the second World Trade Center building on that day. But since our current war was started by a Muslim claiming God was angry with the Americans … well, time has shown us that corporate America’s greed and abuse of power is out of control. So God did have reasons to be angry with American corporations and child abuse covering up religions on 9.11.2001, after all. Just a theory, but perhaps it’s highly unwise for psychiatrists to go around pretending they alone dictate reality, thus have a right to defame, majorly tranquilize, and turn millions of people into bipolar / schizophrenics with drugs, for profit? Perhaps, allowing businesses to become “too big to fail” is a stupid way to run a “democracy”? Perhaps, religions turning themselves into havens for psychopathic pedophiles transforms those religious organizations into something other than Christian religions? But those are just the musings of a woman who now has medical evidence I’ve survived 15 distinctly different attempts at my life with egregious forced psychotropic drug cocktails, who can honestly say, thank you for dying for my sins, Jesus. Psychiatry has been unable to prove to me that the Triune God does not exist, and I do need to get my “credible fictional story,” the tale of “painting iatrogenic bipolar, and subsequent research” written some day. But, in the off chance you’re interested, my story would make a great movie, since I can tell the whole tale in the lyrics of music, as well. It’s really rather amazing, but what else would one expect from a tale possibly inspired by God? Psychiatry should overcome their “god complexes,” “delusions of grandeur” and learn to have some respect, IMHO. Best of luck to you. I know from experience, that there is meaning in madness. My daughter experienced her first altered state at eighteen. It took several years to get over the shock and grief, including the shock and grief of not being able to protect her from abusive and coercive, psychiatric practices, forced medication, restraints, and institutionalization. Even though she still hasn’t obtained her freedom, I personally witnessed her speaking truth to power in a number of institutional settings resulting in a trans formative effect on authority figures in her presence–you could see it in their eyes and their very essence. Once, she achieved a state of inner peace that was so profound, she was actually radiating light. Madness is a sword that cuts both ways. Individuals and families can learn to support one another when a loved one is experiencing an altered state. A primary task is to create a safe place for fear and rage to exist, they both need a ‘lightning rod’ because they are stored or trapped energy. Without grounding fear and rage, anxiety can wreak havoc, steal joy, stifle creativity, and all kind of diseases can result. Mindfulness helps. The best way to treat psychosis is to treat the family. The person with ‘psychosis’ can often become a scapegoat for the entire family’s grief, loss, or dysfunction. The toughest thing about madness in our culture is that there are very few mentors. In lieu of mentors, the best option for families with a loved one who is experiencing madness is to fight the status quo, avoid the mental health care system to the greatest degree possible, and build the village back up, one relationship at a time. This is a subject my friend, Dr. Joe, my home town’s best educated high school dropout (yes, his PhD is real) found interesting- when hallucinated voices gave their subjects correct information on which to act. I’m reminded of a paper I read by an Antonio DeLiz, a Portuguese psychiatrist who spent 8 years in Angola and Mozambique during the 1930’s and 1940’s. He found similar things happening during instances where local sorcerers were poisoning someone with a frog macerate (think bufotenine) and the victims would experience changes for the better in their thinking processes that remained after the poisoning wore off and their intense hallucinogenic experiences ended..
I’m looking forward to the film:).